No play store? No problem. Fortnite: Battle Royale is finally rolling out for Android as a closed beta, giving players around the world the chance to game on the go. Controversially, Epic Games has decided to ditch the Google Play Store as the main place to download the game. Many fans have been left wondering on how they will be able to get the game when it releases. This is where we come in. We have detailed exactly what you need to do to get yourself Fortnite on Android so you can game on the go against those smug iOS users. 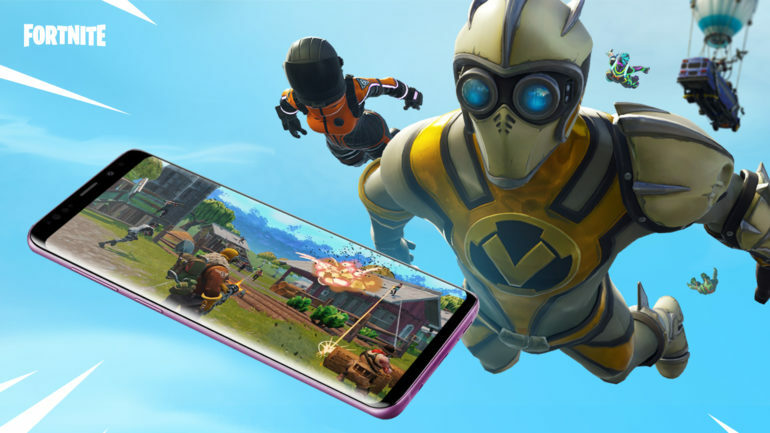 Only certain Android phones can run Fortnite. If you don’t have one of the phones below, you are unable to play the game at this time. After making sure your phone is workable with Fortnite, your next step is to sign up for the Android beta on the Epic Games website. If you already have one, you’ll need to sign into your Epic Games account or create a new one. Then you should be able to request an invite to the Android beta and, if successful, you will recieve an email asking you to pre-install Fortnite on your phone. Certain in-phone stores, like the Samsung Galaxy’s store, will also offer a chance to download the game. Google Play Store does not offer the game at this time. Because the game is offered outside of the hardware’s main storefront, make sure you are not downloading from anywhere dubious.